Keep those shop tools close at hand with this neat tool tray. A variety of tool and parts holders makes this a great accessory for the PrepStand. Rotates for optimum convinience. 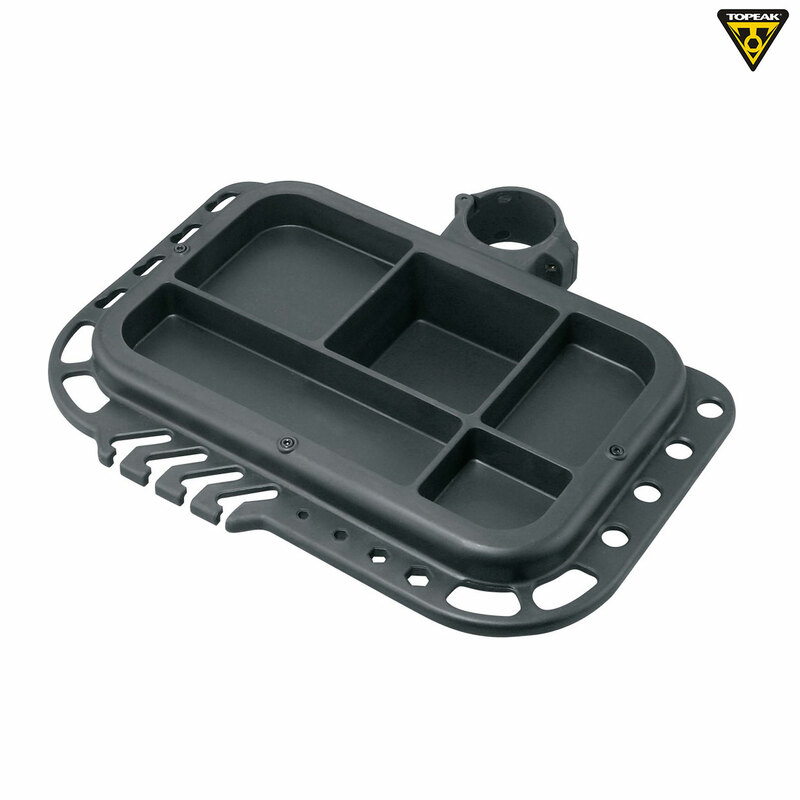 Note: This tool tray is only designed to be fitted to the Topeak PrepStand Pro, PrepStand Elite & PrepStand Race. It does not fit the Topeak PrepStand Max.